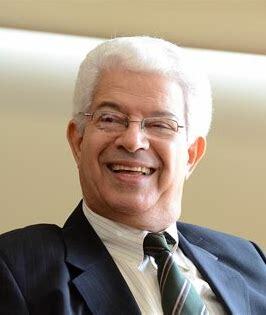 Marco Antonio Moreira, Professor Emeritus at the Universidad Federal de Río Grande del Sur, Brazil, B.Sc. in Physics, did his Ph.D. in Education on Science Education at Cornell University under the supervision of Joseph Novak, the creator of concept mapping. His thesis and a large portion of his academic life have as a reference the theory of meaningful learning and concept mapping as instruments that facilitate learning in the classroom. His curriculum includes more than two hundred publications, about forty books and the supervision of fifty doctoral dissertations. He has participated in numerous commissions on education, both national and international, and has been editor of various journals on science education. Currently he coordinates the National Professional Master’s Program on Physics Education in Brazil, with 60 poles dispersed throughout the country. 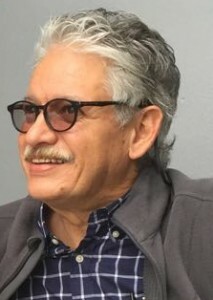 Alberto J. Cañas was born in Costa Rica. He is Co-Founder and an Associate Director of the Institute for Human and Machine Cognition. He received a Bachelor’s Degree in Computer Engineering from the Instituto Tecnológico de Monterrey, Mexico, and a M. Math Degree in Computer Science and a Ph.D. in Management Science, both from the University of Waterloo, Canada. In 2017, he received an Honorary Doctorate from the Universidad Castro Carazo, in Costa Rica. He has taught at the Instituto Tecnológico de Costa Rica, University of Waterloo, Tulane University, INCAE (in Costa Rica), and the University of West Florida. He has been visiting professor at universities in Spain, South Africa, Estonia, China and several South American countries, and has given conferences and workshops in many countries in North and Latin America, Europe, Africa and Asia. He’s the Principal Investigator of the research and development team at IHMC that has developed the CmapTools software. Prof. Cañas has published extensively on concept mapping, and is the founder of the International Conference on Concept Mapping and has been part of its organization since it was launched. 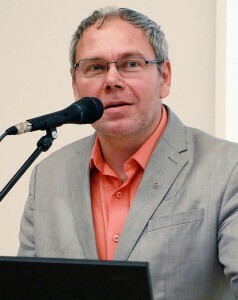 Priit Reiska is Vice Rector and Professor for Science Education in Tallinn University, Estonia. He has worked earlier as physics teacher at school, laboratory assistant in university, researcher and senior scientist. Professor Reiska has graduated in Tallinn University as physics teacher. He received his PhD and habilitation in science education at the University of Kiel, Germany. Hi has got during his academic carrier different research grants (e.g. Fulbright, DAAD) and many Estonian research scholarships. His main research interest is using concept mapping in education. 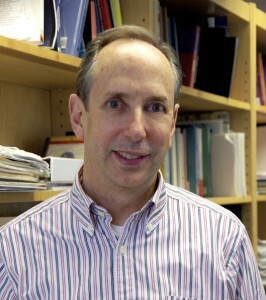 In addition, his research interests include relevance of science education, interdisciplinary science education and computer simulations in science education. Prof. Duarte is a mathematician from the Universidad de Antioquía with a Ph.D. in Mathematics from the Universidad Politécnica de Valencia, Spain. His experience as an instructor has been around the exact world of numbers, leaving a footprint with his famous expression ‘incredible’, every time “I see a student understand what I explain and is surprised with the result when presented with an exercise of interest”. He has worked on the use of concept maps to teach calculus and has presented at several previous Concept Mapping Conferences. Norma holds a B.S. in Physical Sciences from Mills College, an M.S. in Mathematics from Northwestern University, and a Ph.D. in Information and Knowledge Society from the Universitat Oberta de Catalunya. Her doctoral dissertation explored the acquisition of concept mapping skills by in-service Panamanian elementary school teachers participating in Panama’s Conéctate al Conocimiento Project. 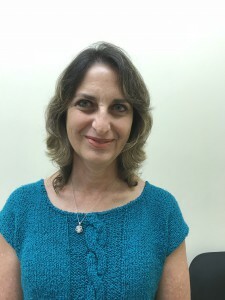 She has taught mathematics at the Universidad Tecnológica de, since 2002, and before that, at the Panama Branch of Florida State University. Drawing from her work with concept maps, her approach to teaching taps into students’ everyday notions and experiences, as well as their prior mathematical knowledge, to foster intuition, conceptualization and interconnections – all essential elements for meaningful learning. Her current research project involves the use of intelligent tutoring systems to help remedy the math deficiencies of high school graduates aspiring to enter university. Alejandro Urbina, Costa Rican, currently Works as a dairyman. In between milkings, he additional Works as a financial advisor. In his diary farm Lechería Santos in Tierras Morenas de Tilarán, he operates the tabulated model, strengthened with the production and analysis fo real time data, so his cows are, literally, connected to the Cloud with electronic sensors. 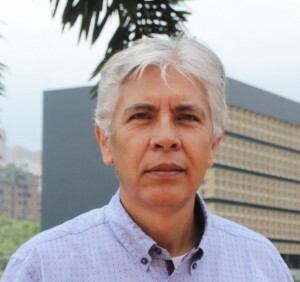 Urbina studied Computer Science at the Massachusetts Institute of Technology (M.I.T), and worked as a professor at the Instituto Tecnológico de Costa Rica and afterwards as systems engineer at IBM Costa Rica. He worked at the La Nación journalism group for 22 years. He got into journalism as Managing Director of the weekly El Financiero, and after obtaining a Master’s degree in Journalism from Columbia University in New York, was part of the editorial team of the La Nación newspaper y lead the investigative journalism team. He assumed the direction of the newspaper in 2003. Under his leadership, La Nación obtained the Mari Maria Moors Cabot Award, given by Columbia University, for the investigations that resulted in the jailing of two former presidents of Costa Rica and the self-exile of another. Urbina uses his experience in writing news stories in the construction of his concept maps.